This entry was posted in Book Memes, WWW Wednesdays and tagged a man called ove, alice hoffman, anja reich-osang, anything for her, bad girls don't die, book memes, ed james, faithful, fredrik backman, helen phifer, jack jordan, katie alender, mark twain, morgan matson, the adventures of tom sawyer, the good sisters, the scholl case, the unexpected everything, worth killing for, www wednesdays by Yvo. Bookmark the permalink. The Good Sister sounds great. I am thinking of getting it. Is it a thriller or horror/supernatural? I will definitely look out for Faithful. The Good Sisters was SO good!! It’s definitely a paranormal horror read; without revealing too much, it’s basically a haunted convent… Mostly psychological and really well written. 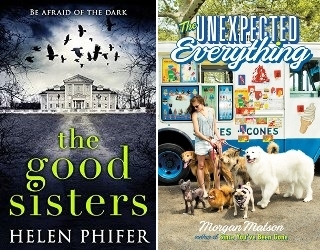 I’m going to be kicking myself for not requesting the Good Sisters but I really can’t add anymore NetGalley books to my tbr mountain. Very glad you enjoyed Faithful as it’s one of the books I haven’t gotten to yet. I think the reviews made me wary. Ok, you had me a proper Halloween read!! I need to check that one out now! A Man Called Ove is on my TBR as well! I keep hearing amazing things about it and about its author! I hope you enjoy! I’ve had a lot of people recommending A Man Called Ove to me, so I’m looking forward to finally read it some time soon. Happy reading! I’m glad to see you liked Faithful. It’s been on my tbr for a while and I have an arc for it that I REALLY need to get around to reading. Same here; I got it a while back and somehow ended up neglecting it for way too long because I kept seeing mixed reviews… I end up really enjoying Faithful though. I hope you will as well! I might give Tom Sawyer a chance down the line. Great selection of books you got! 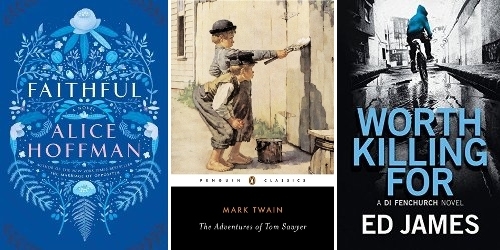 Somehow classics and me haven’t been going along lately… Lots of people seem to enjoy Tom Sawyer, so I hope you do as well if you decide to read it. I hope The Unexpected Everything gets better once you’re in the mood for it. Being in the right mood for a book helps so much. Happy reading! That’s definitely true! I’ve only read a few pages so far, so that might just be the problem. Happy reading! I read A Man Called Ove a few weeks ago and thought it was charming book full with life lessons. I hope you enjoy it! Great to hear you enjoyed it! I’m definitely going to try and read it as soon as possible.